Newspaper reports that Coca Cola has sued Pepsico and its Australian licensee, Schweppes, over the shape of the new Pepsi bottle. So, if it goes to trial we may well find out what you can do with a shape trade mark. The newspaper report quotes Matthew Hall asking who is going to buy a bottle of Pepsi in mistake for a Coke. Fair question but, if there is a registered trade mark for the shape (without Coke plastered all over it, unlike e.g. TM 1057210) and the bottle itself is used as a trade mark, the presence of the Pepsi logo should be irrelevant. Further, what role will “intention” play here? In particular, why did Pepsi change the shape of their bottle? Pepsi apparently introduced the new bottle shape in May this year. 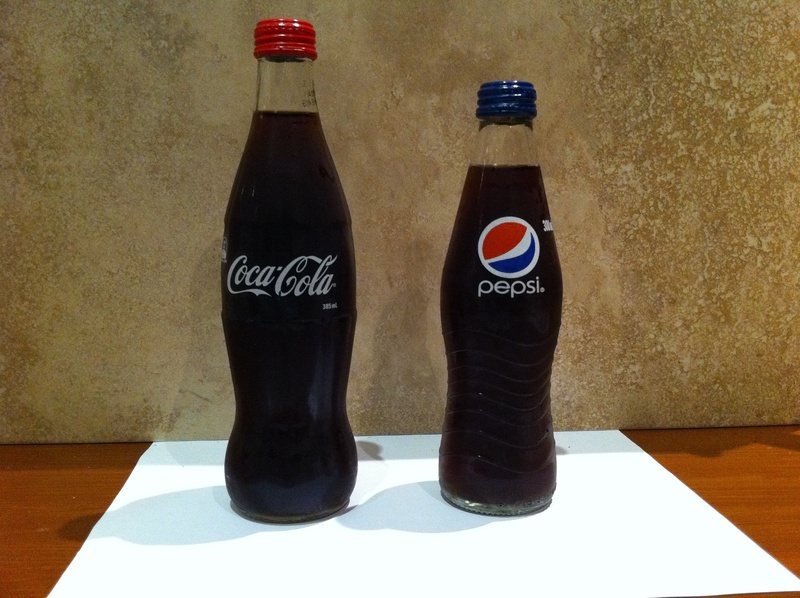 Here’s an interesting mash-up which shows you the “old” bottle’s silhouette compared to the Coke bottle. 25	The confectionary has three features that are not descriptive of the goods. They are the silhouette, the fluting at the top and bottom, and the label band. It is not necessary for the respondent to adopt any of those features in order to inform consumers that its product is a cola flavoured sweet. It could do so by using the cola colour, the word COLA and the shape of an ordinary straight-walled bottle. The silhouette, fluting and band are striking features of the confectionary, and are apt to distinguish it from the goods of other traders. The primary function performed by these features is to distinguish the goods from others. That is to use those features as a mark. It is true, as the respondent said, that the fact that a feature is not descriptive of goods does not necessarily establish that it is used to distinguish or differentiate them. But in the present case we are compelled to the conclusion that the non-descriptive features have been put there to make the goods more arresting of appearance and more attractive, and thus to distinguish them from the goods of other traders. While that was observed in the context of “contour” bottle shaped confectionery, things could get a bit sticky for Pepsi here. As a side note: an interesting timeline comparing the Pepsi word and logo marks against the Coke history. While we’re on the subject of raising patent standards, the Commissioner has also introduced new rules for divisional applications. IPNow and Patentology explore what it all means for those of you filing patent applications.